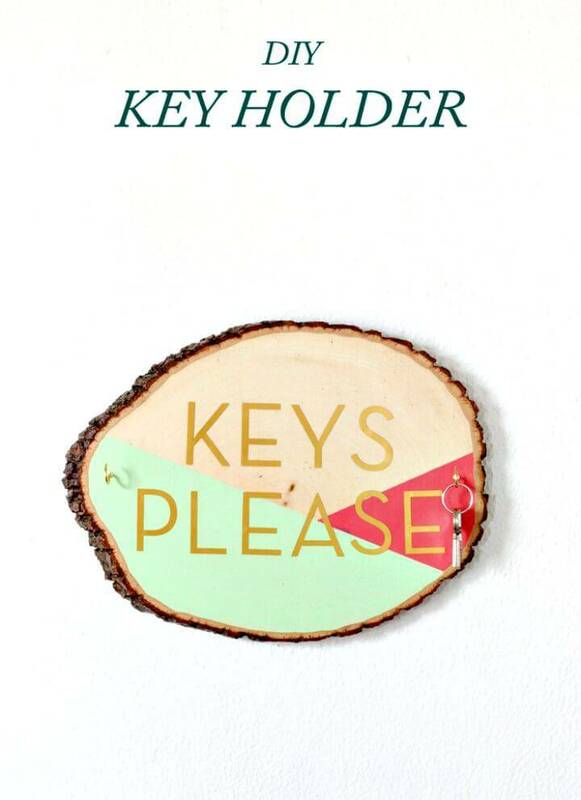 Losing keys is just horrible, the problem becomes worse when you are in a hurry! 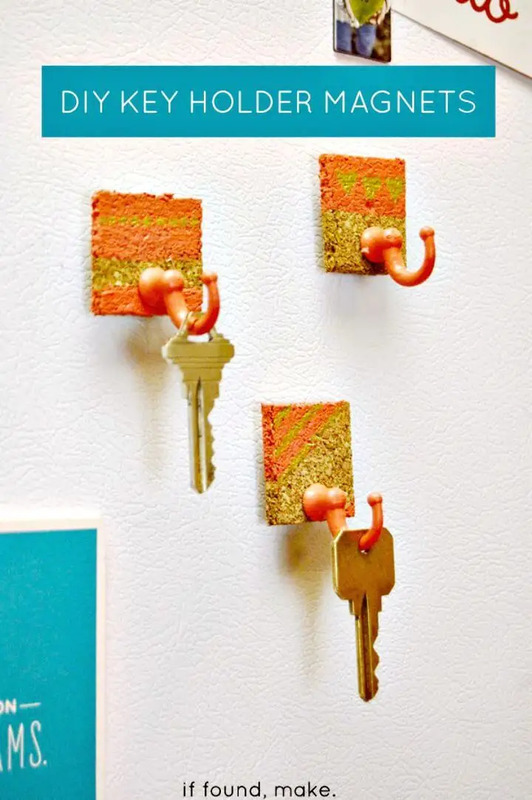 So, if don’t want to lose your keys again to avoid getting in trouble then you must specify some spaces in the home where you will store only the keys! 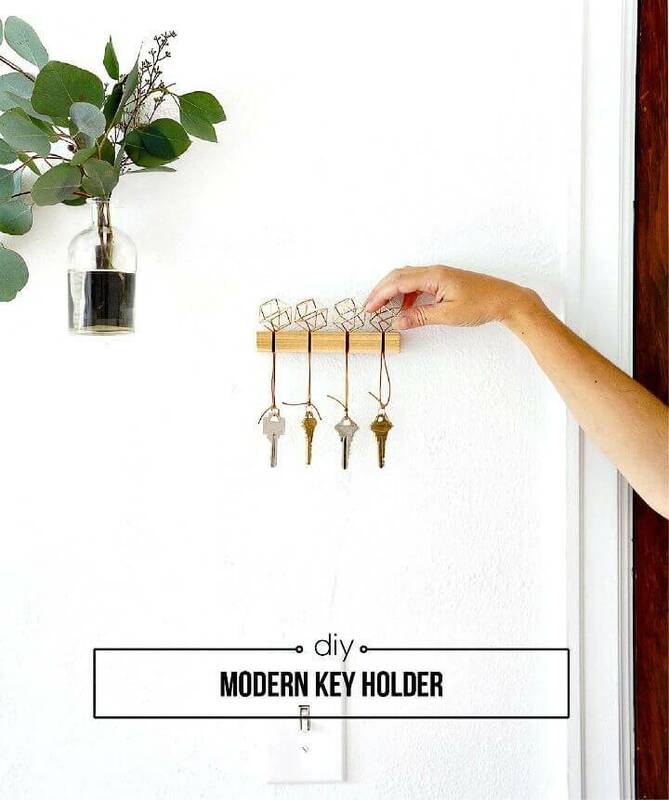 However, if you are interested in doing some manual work with your hands, then you can also make beautiful key racks and organizers at home using recycled materials and old wood! 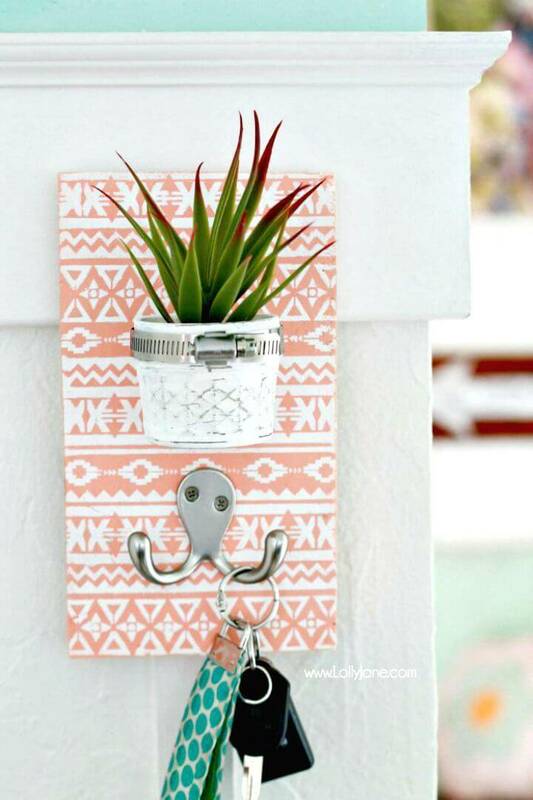 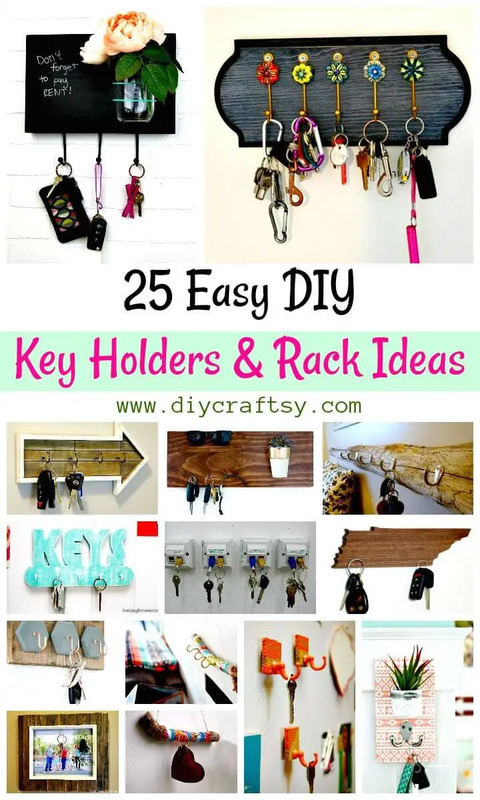 We would like to inspire you by sharing these 25 Easy DIY Key holders and rack Ideas that are sure to surprise your senses due to amazing designs and functional styles! 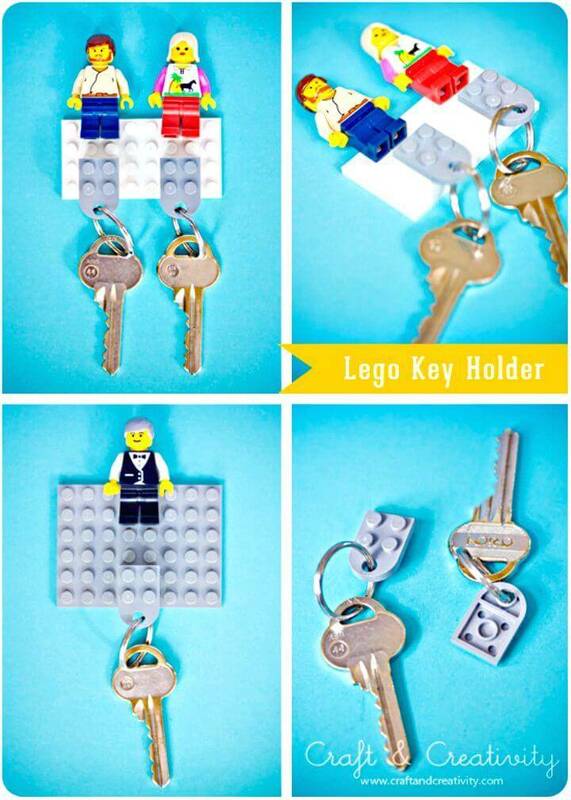 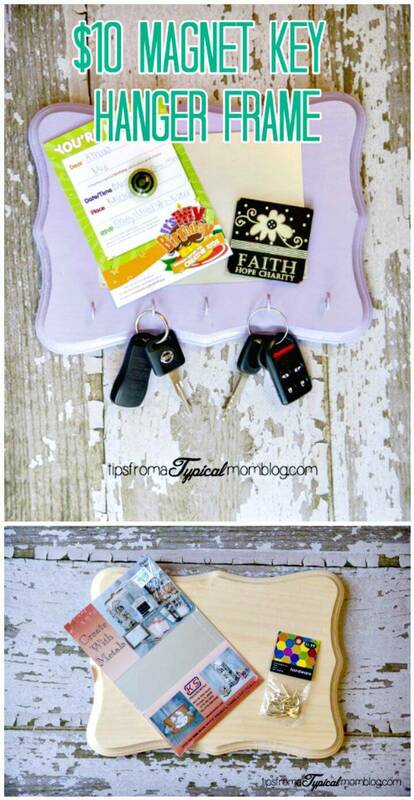 You will also be amazed to see that all the DIY key holder ideas are handcrafted and would not take much time and budget to be in your hands! 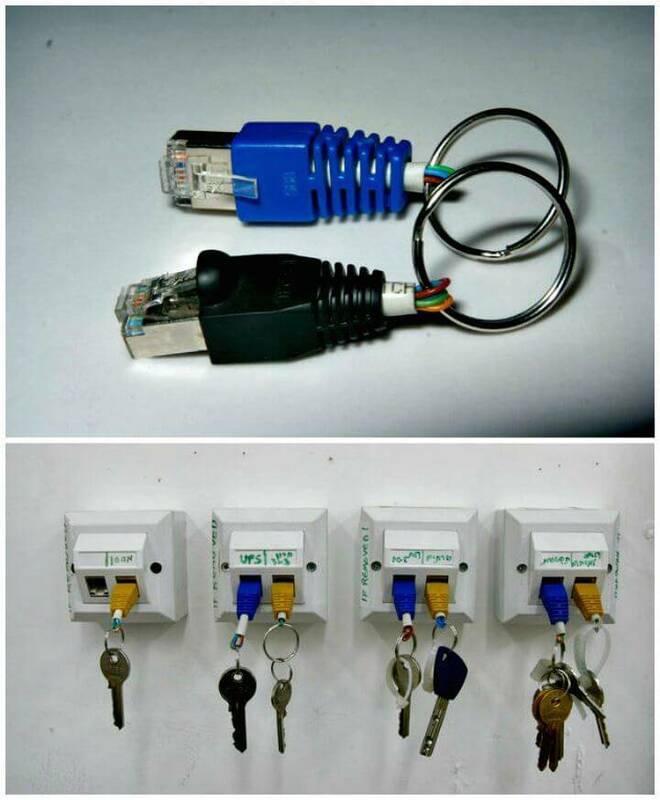 Grab the male RJ-45 plugs and add key rings to them and next just fit them in the female RJ-45 plugs mounted on the wall to make a beautiful key rack at just no-cost! 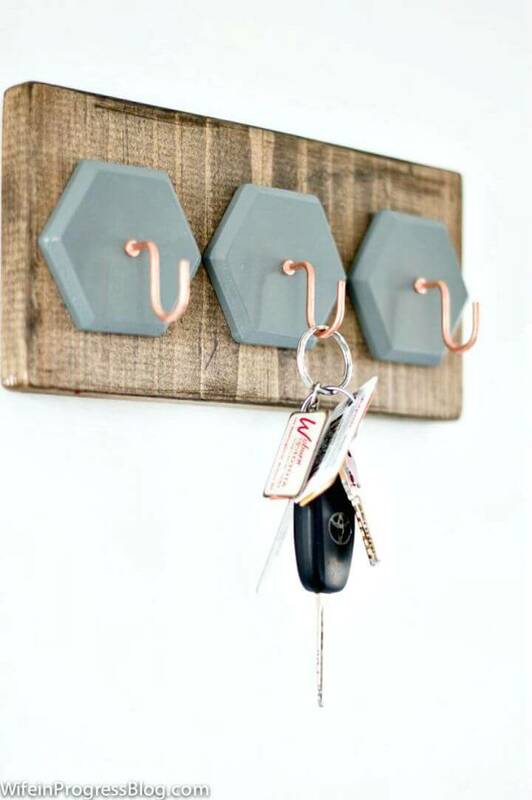 Next also grab a piece of wood and just add its bottom with S-hooks for a brilliant DIY key rack, get inspired by the given sample that comes with accent wooden mountain back for an artistic look! 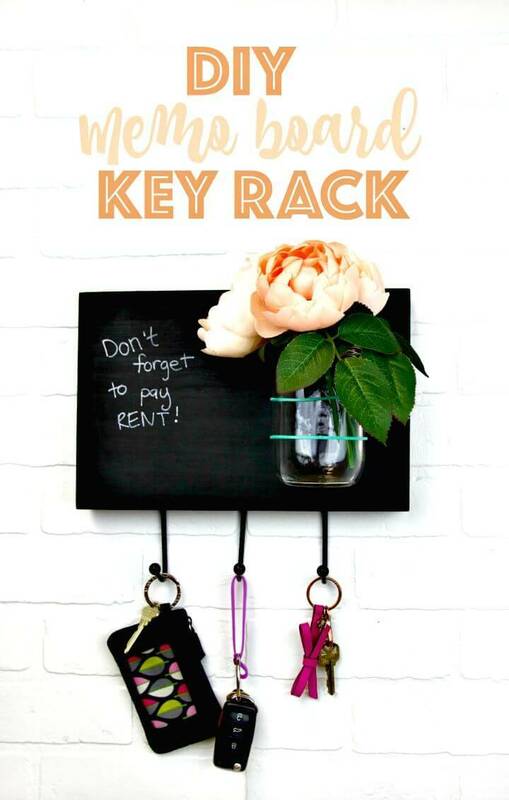 Also, make the precious memo board wall hanging key racks where you can also write custom quotes and name letters for a personal appeal or to give a message! 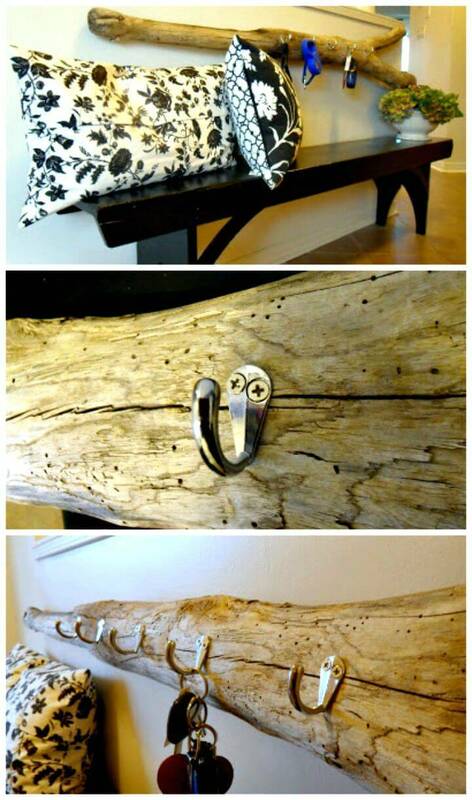 Next, also paint the driftwood branch and just hang it on a custom wall by adding custom hooks to make rustic key racks in just no time, look at the given below sample that is amazingly beautiful but rustic! 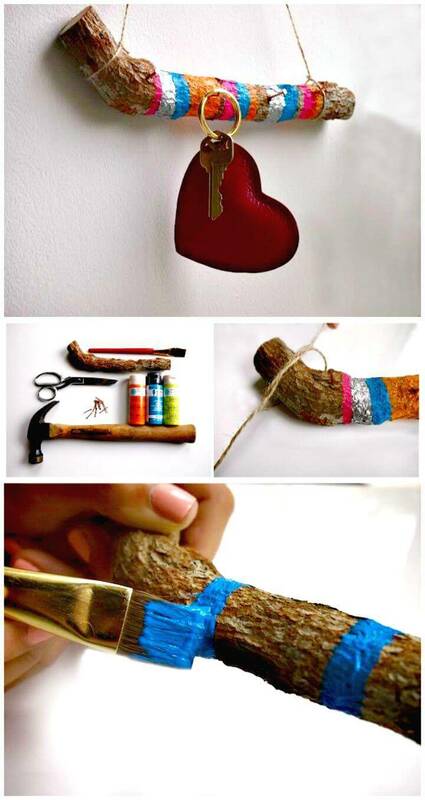 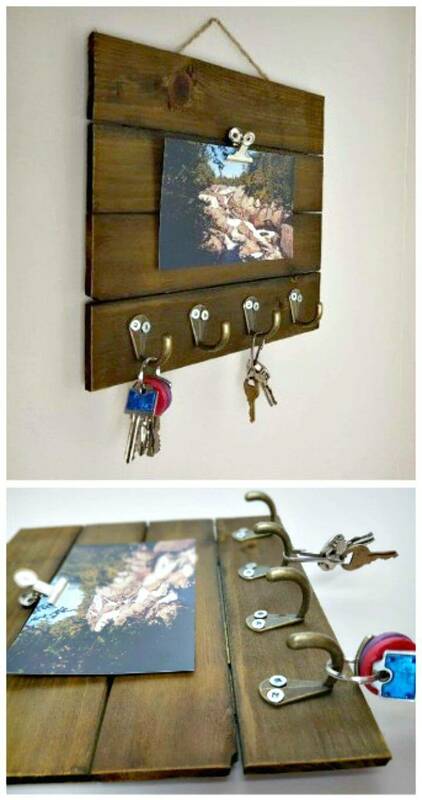 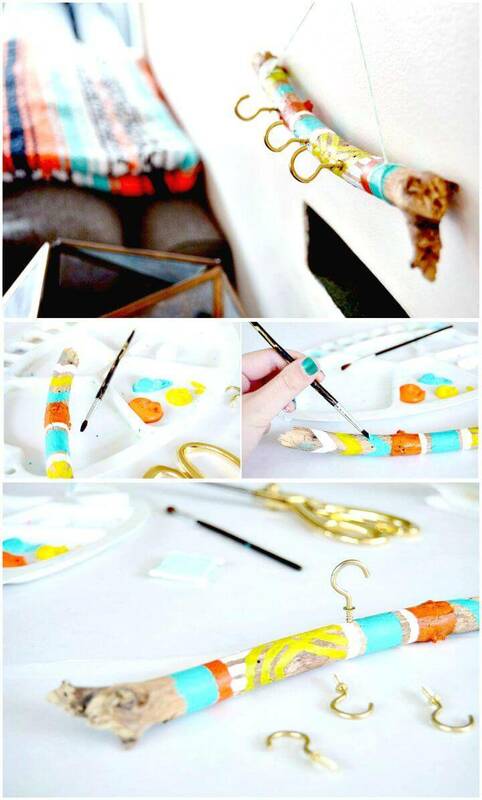 Paint also the wood logs and tree branches and add with custom hooks to make outstanding key organizers at home! 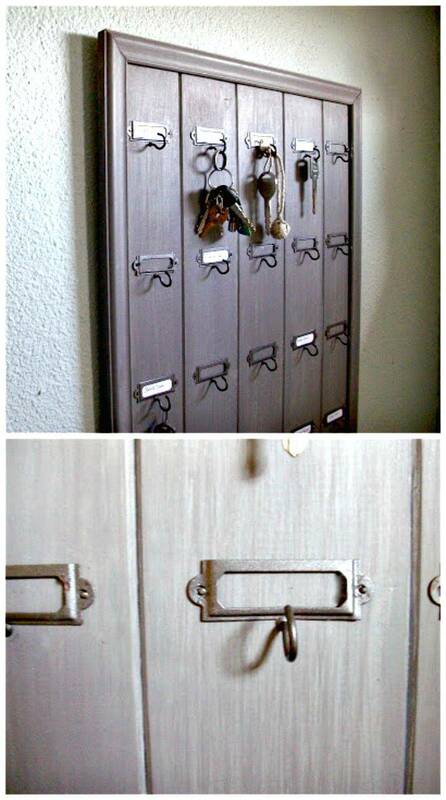 Install also the key organizers as you see in the hotels using wood, get inspired by the given sample that comes with hardware label DIY key holders where you can number the keys! 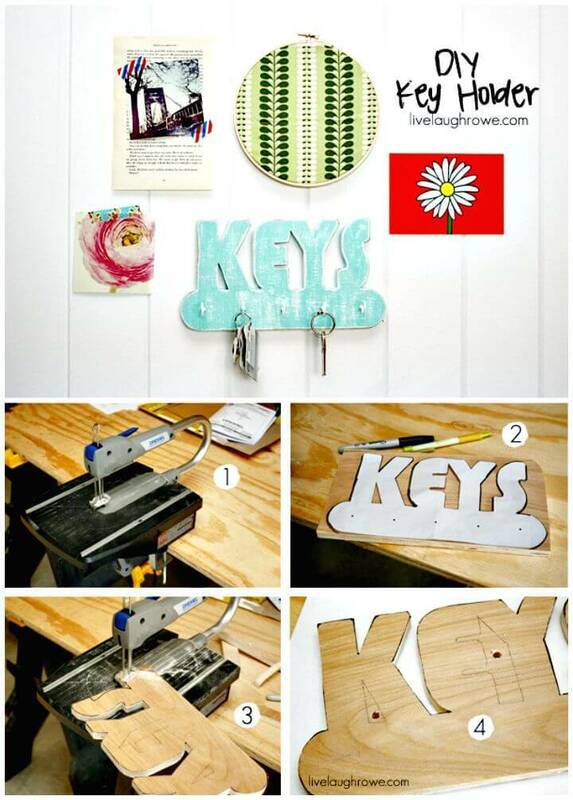 Another interesting sample is the wooden key organizers that come with cut out wooden “KEY” letters and also makes a beautiful wall art! 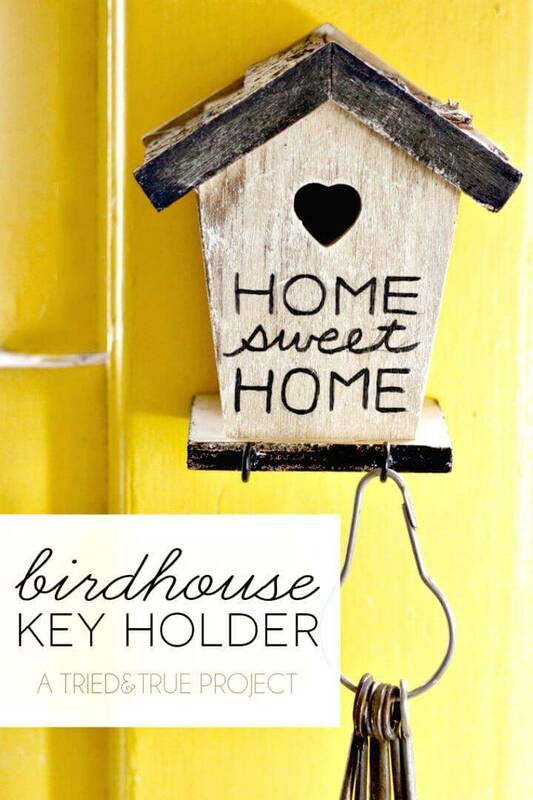 Moreover, also add a wood slice with custom hooks to make beautiful key racks and craft the birdhouse styled key organizers that will be center of attention for sure! 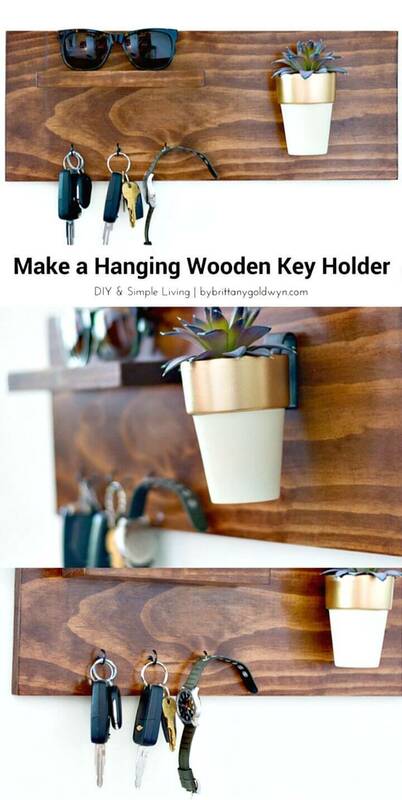 Moreover, just add custom hooks to lower sides of picture frames and make outstanding key organizers and also secure your keys on a succulent DIY key holder that may come with a wall mounted vase and with a double side hardware hook installed just below the wall mounted vase! 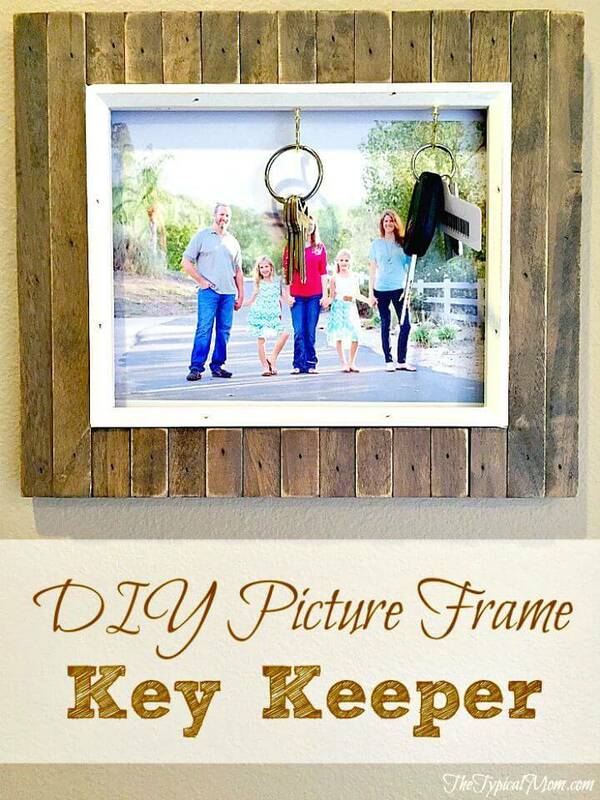 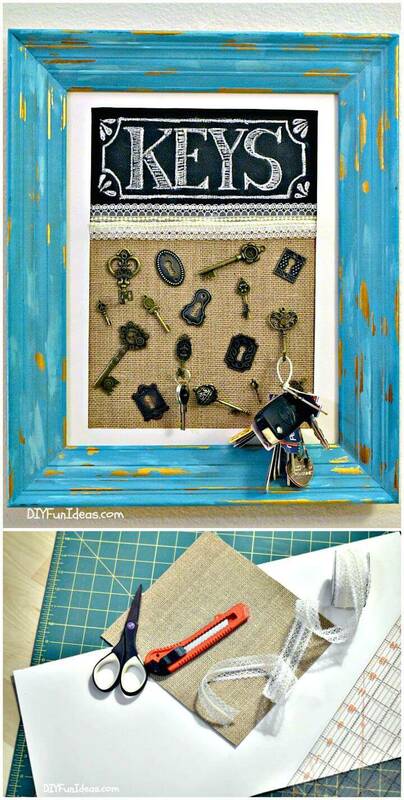 Make also interesting DIY key holder frame using old picture frames, burlap, and vintage keys and also modern key organizers by using scrap wood lengths and modern geometrical key holding hooks, get inspired of the given sample that is outstandingly beautiful and eye-catching! 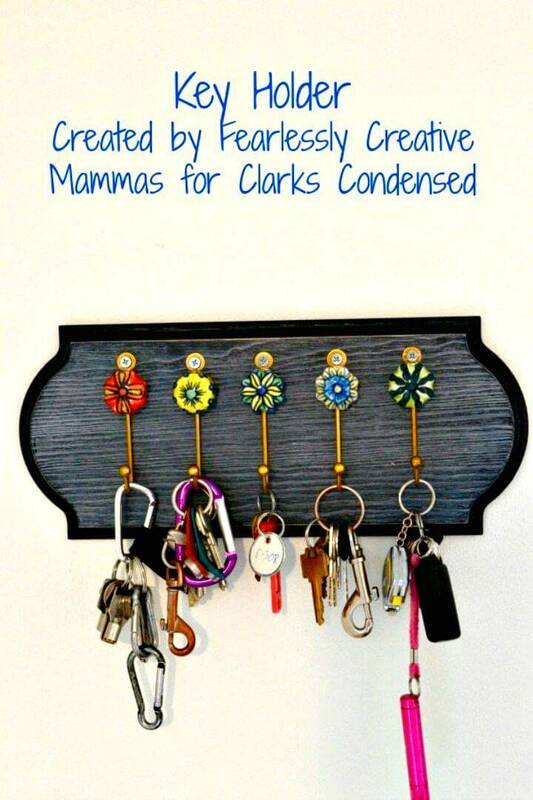 Here each showcased key rack project comes with an attached link that can be clicked to grab the full free guide and visual tutorial for that particular key organize project!